The weekend is here! Want to spend your Friday planning what you’re going to do for the weekend? Didn’t think so! We put together a list of events going on this weekend! Check ‘em out! 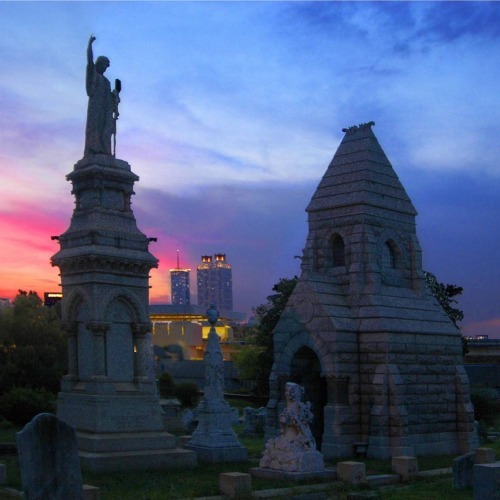 Historic Oakland Cemetery receives many visitors each day, but only at Halloween do the gates stay open after dark. Join us this year and hear first-hand accounts about our city’s past, narrated by a host of Oakland’s eternal “residents.” You’ll also see gorgeous candlelit mausoleums in this one-of-a-kind annual tradition. Bring a flashlight and wear comfortable walking shoes. There will be beer, wine, and soft drinks for sale, and browse Oakland’s Museum Shop for unique finds. Hope you got tickets because this one is SOLD OUT! The Austin, TX four-piece is no stranger to mixing crunchy punk energy, scorched psychedelia, Southern rock and knotty funk, but “Corsicana Lemonade,” the group’s fifth studio album, naturally covers so many bases that it plays like the greatest lost mixtape you could find on your dashboard during a hot summer afternoon. And now, with the support of leading publications like the New York Times, Rolling Stone, Pitchfork and Relix, as well as adoring crowds from Bonnaroo to their sold-out headlining tours, White Denim has fully arrived with a record to claim their own spot in America’s great rock lineage. The Right On Band is not your average 70’s tribute show, the group has truly earned the title “The World’s Greatest 70’s Show Band.” A ten-piece band with a full horn section, the Right On Band has been keeping the 70’s alive for 15 years. They have performed all over the world, with notable performances such as President Obama’s Inaugural Ball and opening for acts like KC & The Sunshine Band, The Doobie Brothers, Hall & Oates, The Commodores and The Village People. Come and enjoy an afternoon of beer tasting on the Decatur square. More than 100 of the finest American craft beers are showcased at this annual event sponsored by area distributors and Decatur’s restaurants and pubs. Enjoy live music and food from local restaurants available for sale. This event is SOLD OUT but we can’t wait to see you there! Doors open at 6:30pm. General admission tickets are $25 in advance. Doors open at 9pm. Tickets are $12 in advance. This year, Old School Saturday enters its tenth year as an Atlanta institution. Celebrating the music of the ’80s and ’90s, Old School Saturday events attract over 2,500 “old school” devotees each month to its ever-changing, always swanky locations. Only $10 Plus Service and Tax in advance (vs. $20 door price). Wild Belle is the new duo of siblings Natalie and Elliot Bergman. The two have weaved in and out of each other’s musical lives for years sharing records, tapes, sounds and experiences. Wild Belle marks their first official collaboration, finding their sound rooted on a tropical island where rocksteady rhythms, disco beats and soulful grooves shine down steadfast and abundant. The Government may have been shut down, but the State Theatre keeps on rockin! We realize that nothing comes free in DC, so why not come out to Falls Church, VA and join us in our first annual (okay, not annual. Hopefully.) Furlough Party. We realize that not getting paid can put a serious damper on the party, so we have decided to open up our doors for you to come in and enjoy some live music (Crooked Crow, Joe Rathbone and the Mercy Alliance) FOR FREE! Doors open at 7pm. Tickets are FREE. We are super excited for this one! Check out an interview we did with Jay here!